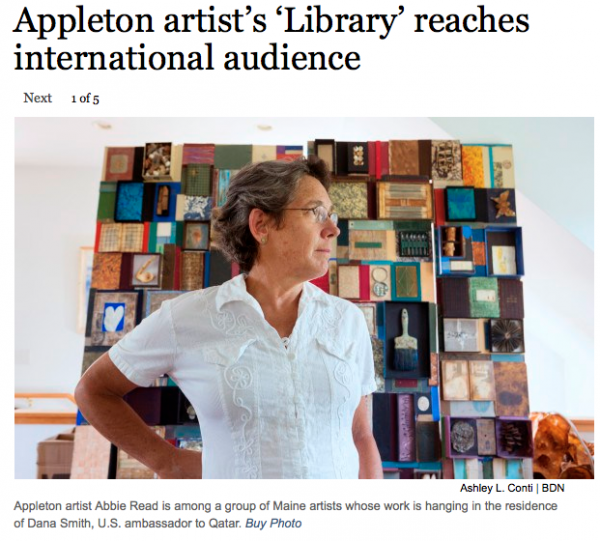 The Bangor Daily News just published a story on my “Library” which was hanged at the official residence of U.S. Ambassador Dana Smith in Doha, Qatar. Artist Abbie Read of Appleton didn’t know what to make of the email that appeared in her inbox in spring 2014.